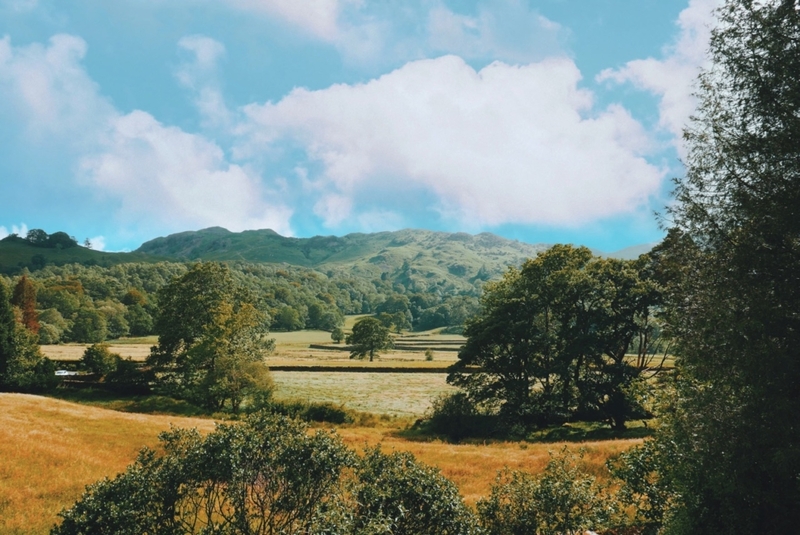 Whilst heading up to Easdale Tarn or Helm Crag in Grasmere, many walkers encounter the enchanting grounds of Lancrigg. 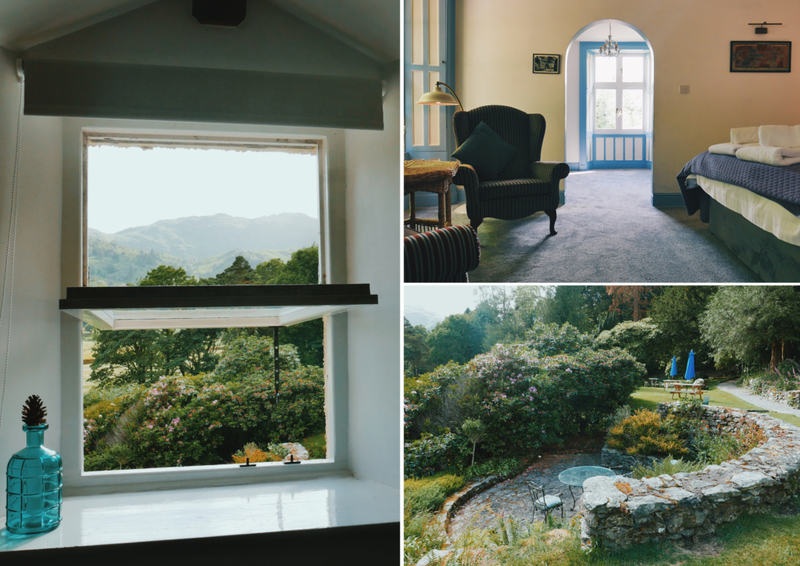 Nestled in a very distinctive part of the valley in the small hamlet of Easedale, with sweeping views of the fells, once you discover this place, you will be compelled to return. 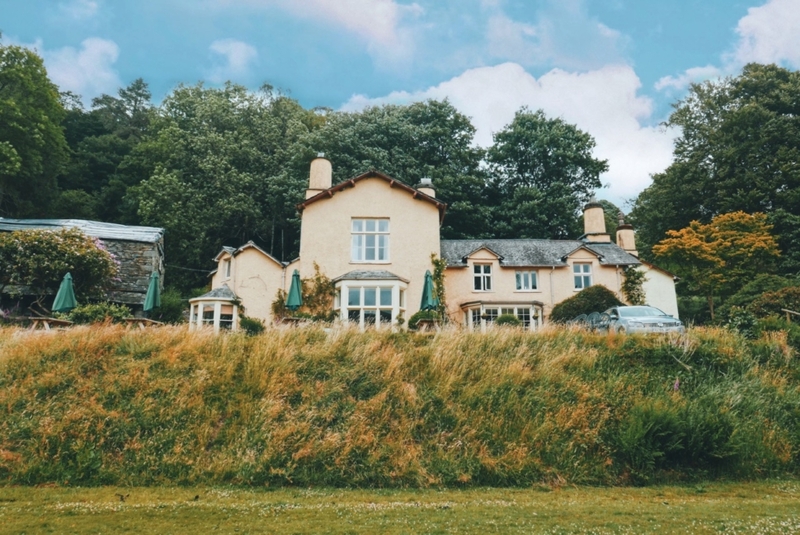 Less than a mile from Grasmere village (Wordsworth country), the hotel is far enough away for you to escape, yet within walking distance of everything you may need. 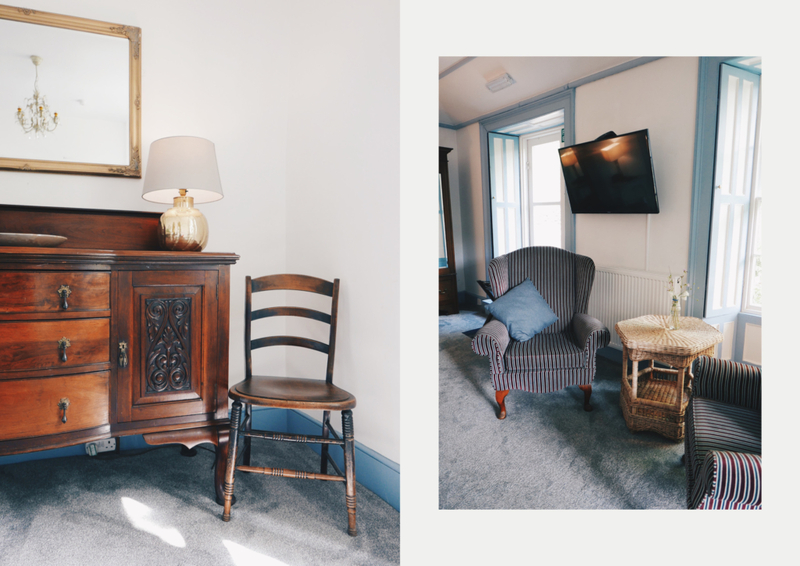 The hotel has a fascinating history with humble beginnings as a 17th-century farmhouse. In 1840, Elizabeth Fletcher, the wife of a wealthy Edinburgh attorney, asked her friend, William Wordsworth to find her a house for her ‘summer refreshment’. He selected Lancrigg for her and organised everything. 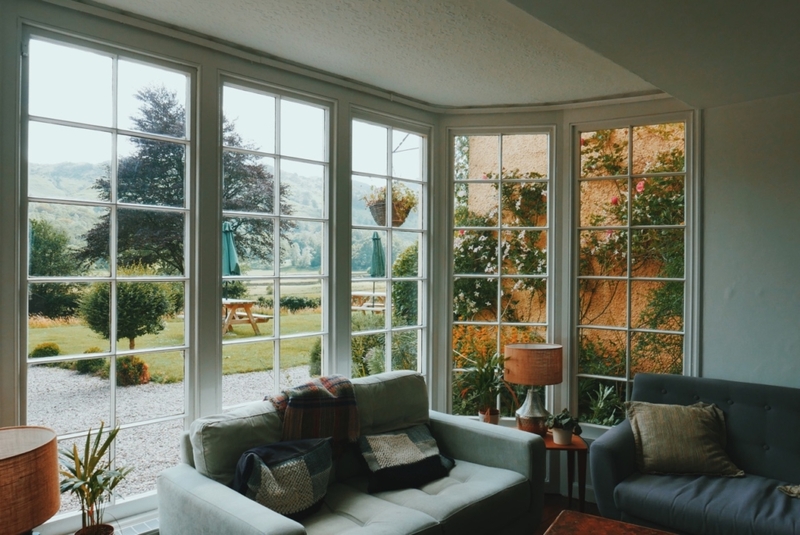 He was fully involved in the renovation and expansion of the house and it is noted that he paid attention to retaining many of the traditional features including the iconic round chimneys. Elizabeth was well connected in intellectual, artistic and political circles during the 19th century. One of her influential friends was Giuseppe Mazzini, the Italian revolutionary, who played an even more prominent role than Garibaldi in the creation of a modern Italy. This inspired Elizabeth as she was focussed on education, women’s rights, the emancipation of slaves and prison reform. 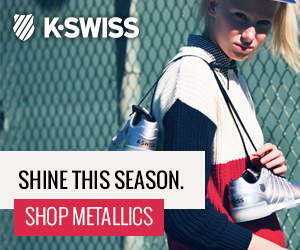 She is also known for supporting Byron’s revolutionary activities in Greece, the American Revolution, the French Revolution and the Hungarian uprising. Quite a lady! 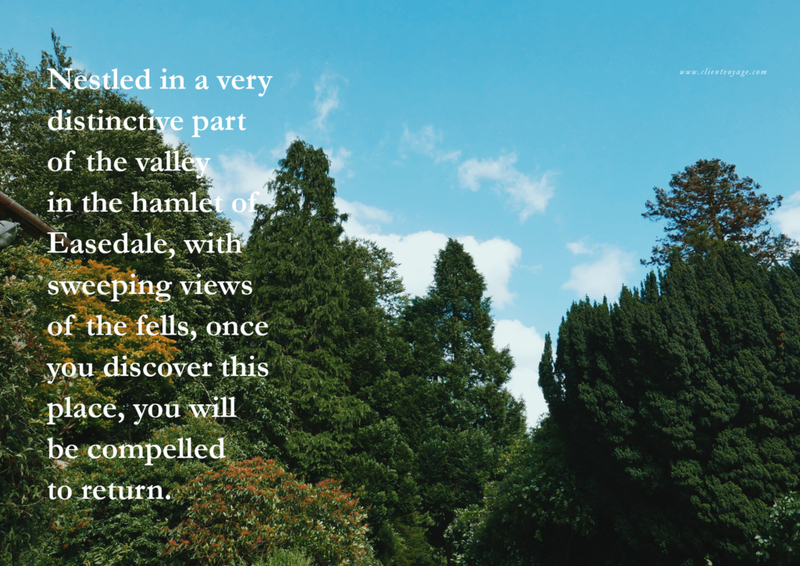 In her autobiography, we also learn of her friendships with Sir Walter Scott, Tennyson, Robert Southey, Humphrey Davey and Wordsworth’s many visits to Lancrigg with his friends. Her son Angus was a close friend of Charles Dickens who often stayed during his time in the North. 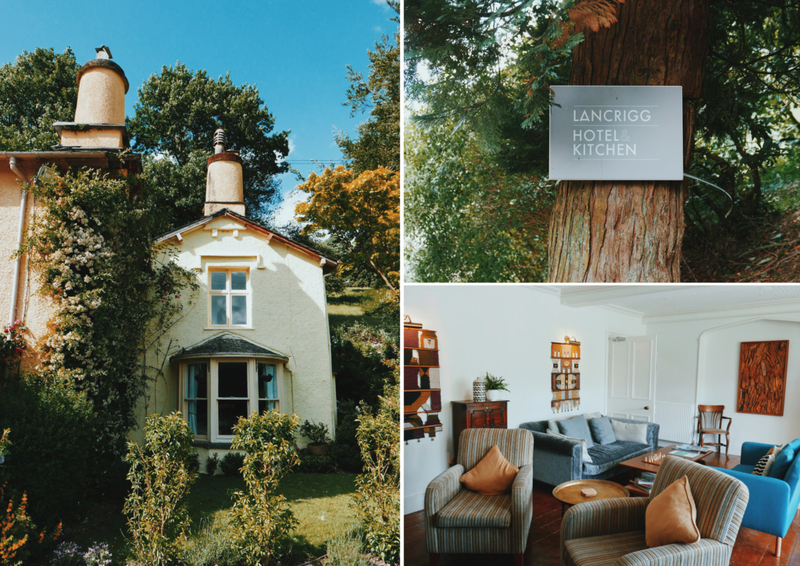 Under new independent ownership over the past few years, The Lancrigg has evolved from a vegetarian hotel to a retreat with a broader appeal. 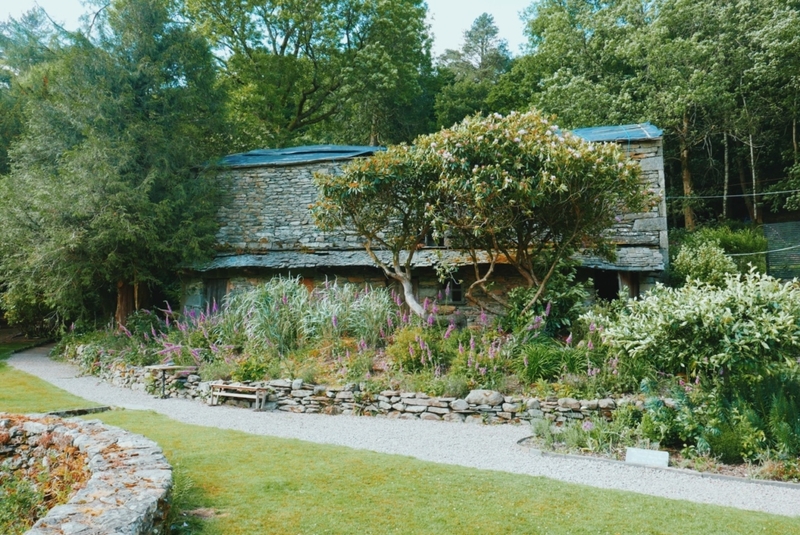 The current landlord has a successful landscape business and his passion shows, as the 30 acres of gardens and woodland are eloquent and alluring. 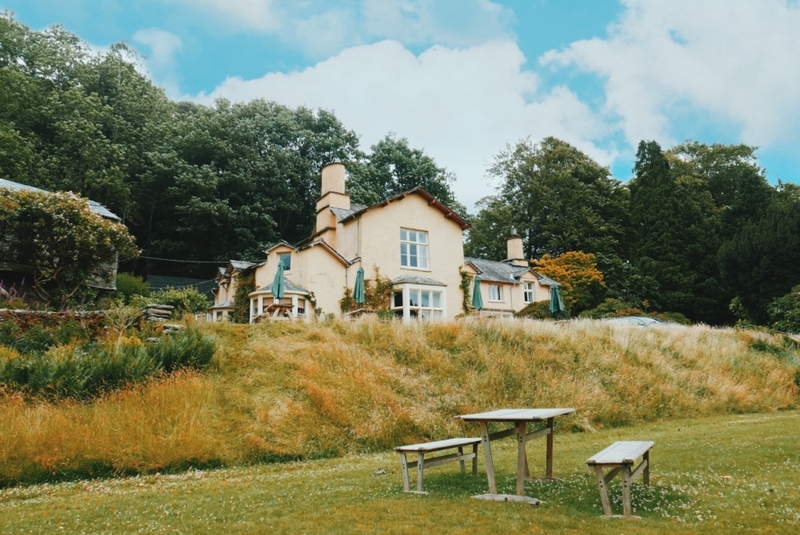 His ethos was to evolve and develop around the original character of the grounds, which continues to be wild and the fundamental atmosphere surrounding the hotel remains prevalent. 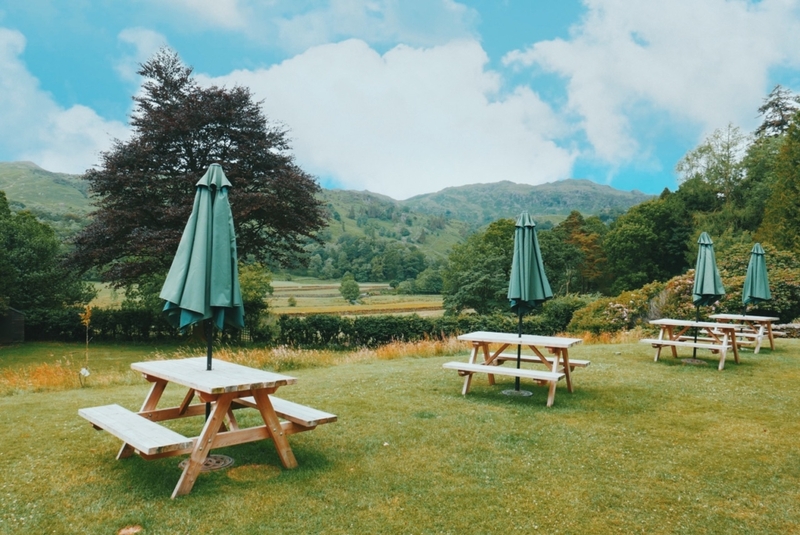 There is also a play area for kids, where you are able to safely overlook from the seated area outside the hotel/bar, but more importantly, the hotel grounds are a playground for adventure, that could be taken from the pages of an Arthur Ransome novel. 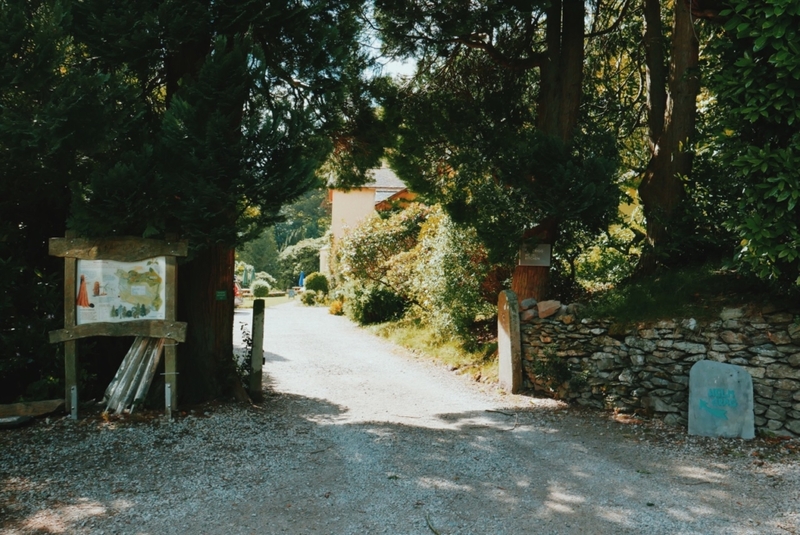 Just a 15-minute walk away is picturesque Grasmere Village, with its own lake (of the same name) and about 30 mins walk away is the famous Dove Cottage, home of famous poet, William Wordsworth, one of Grasmere’s top tourist attractions. The shops in the village can keep you busy for hours whether for buying postcards, art or speciality chocolate, but the real attraction for the area is the walking. Recommended are Easedale Tarn, Silver How and Helm Crag, and Lancrigg is a perfect base for these. 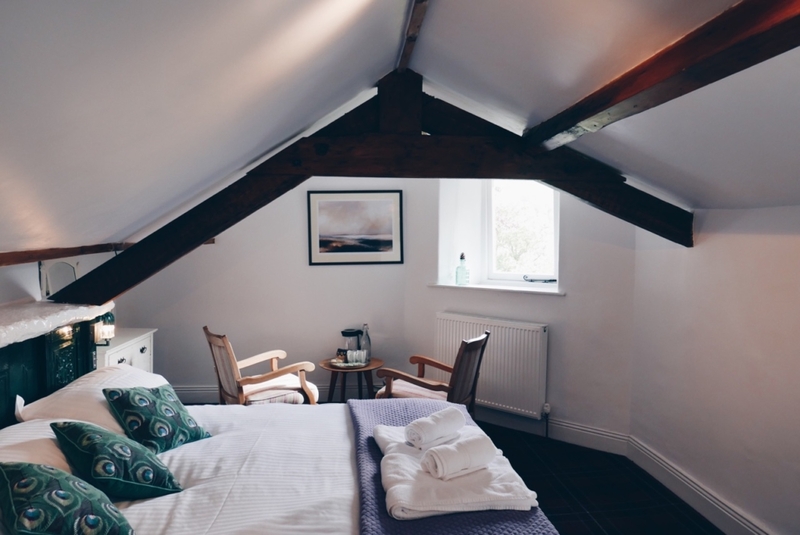 Inside the hotel, there are 10 bedrooms, classic in style, some more bijou, many with beautiful views of the fells. But, with striking country like this surrounding you, you won’t want to be lingering in the rooms. Downstairs in the lounge, although traditional, the decor has a contemporary twist unique to the hotel, with a bold bottle green contrast in the dining room. It’s clear the staff embrace their work and are happy to attend to your every need. 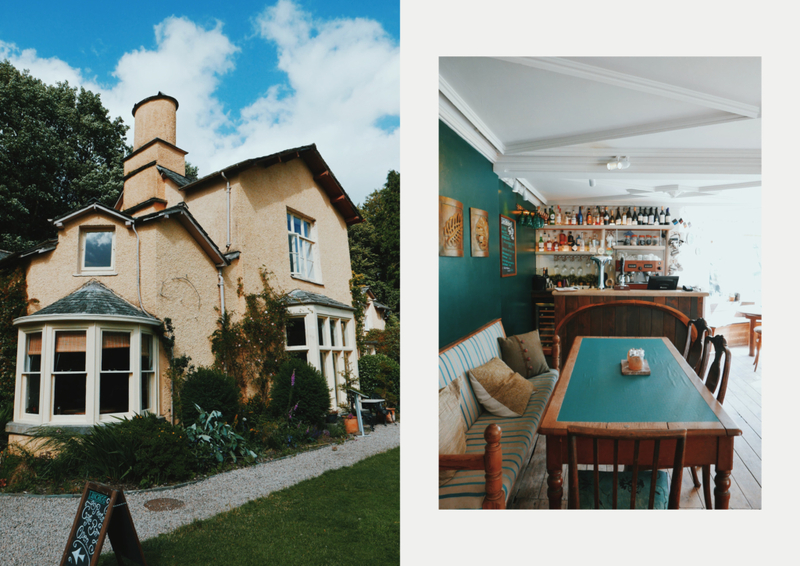 The hotel has an endearing quirkiness to it, combining infamous Lake District hospitality with English charm and those with a penchant for old English country houses are in for a treat. 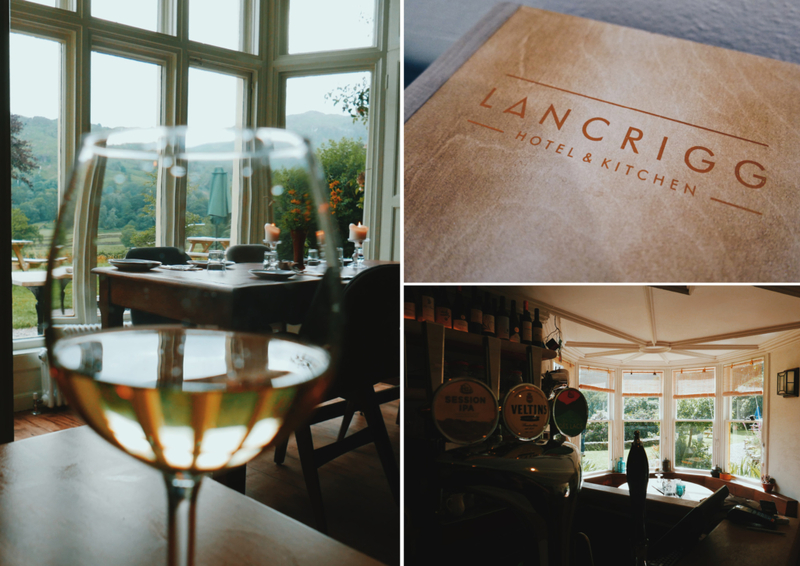 A newer addition to Lancrigg is the appropriately named Poet’s Bar, a petit drinking den with a country pub feel, for guests and walkers alike. 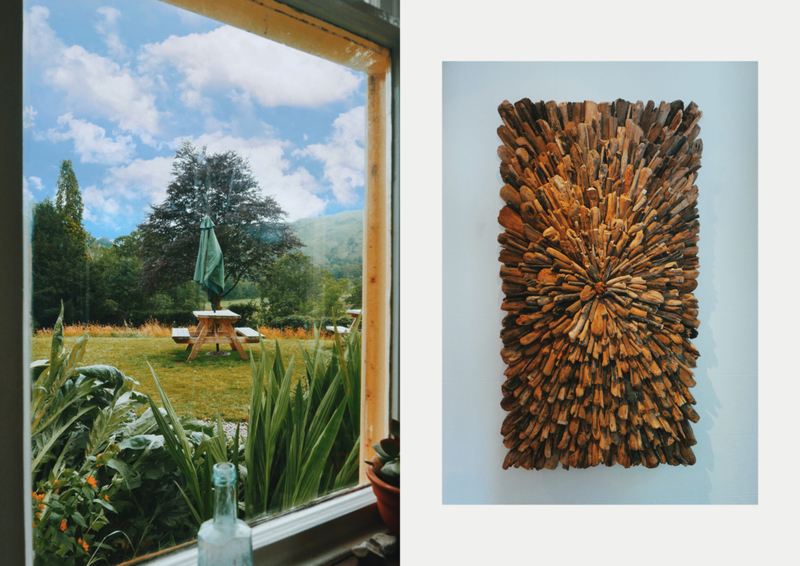 In Summer months (when we visited), there can be many folks outside enjoying the unique views with a sweet local ale or a swift gin and tonic. During quieter times, sitting outside with a good book with no sounds but the singing birds can provide a blissful moment away from the stresses of work life. 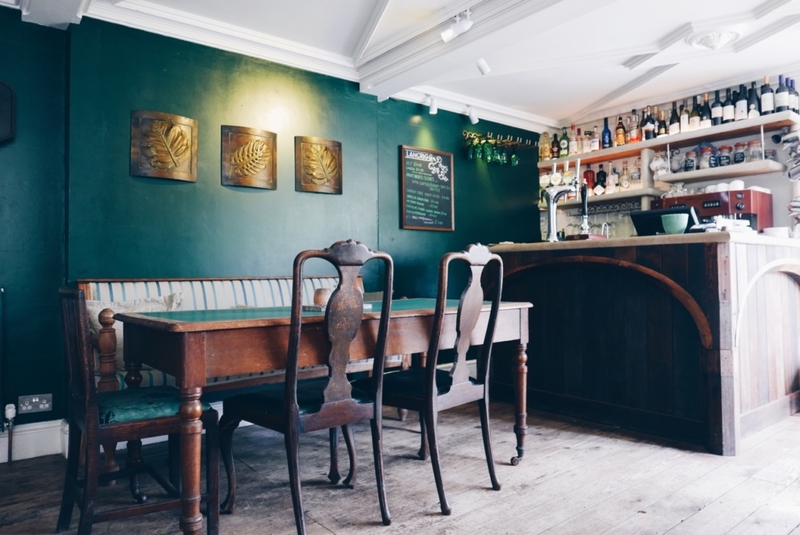 Poet’s Bar also serves great quality coffee, a wide selection of teas and a light bar menu. 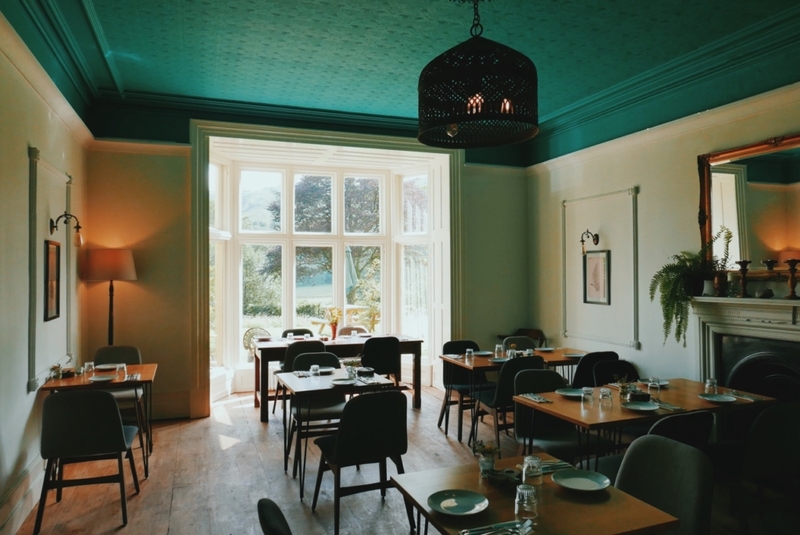 This candlelit restaurant overlooking the fells is a real Cumbrian treat. 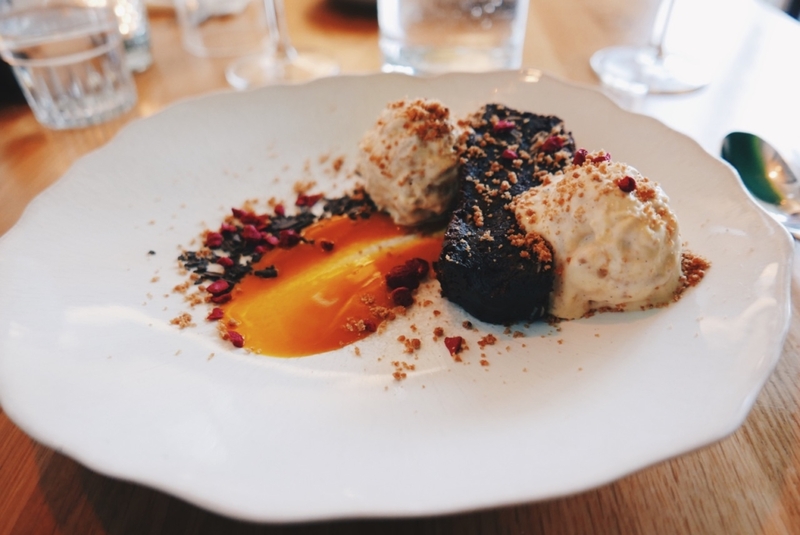 Using only hand-picked local produce and a seasonal menu that is tailored to the area, with vegetarian and vegan options, it’s in the mid-price range and gives great value. 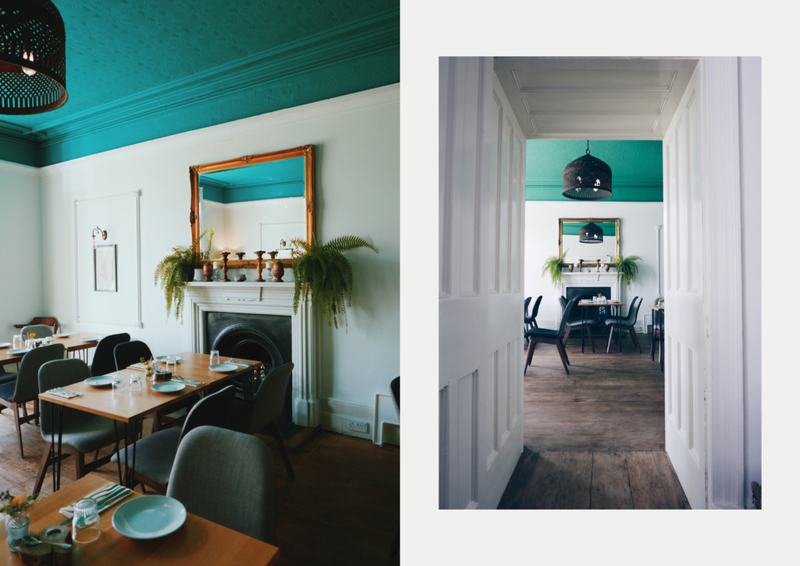 It’s informal and carries a selection of wines to complement the food. I began with a light Pinot Grigio Ca’ Tesore from Veneto, Italy, fused with hints of lemon balm, green apple and pear. I don’t know what it is about the Lake District, but I always crave soup when I am there, and I have had many varieties over the years. This one sounded so tempting on the menu. 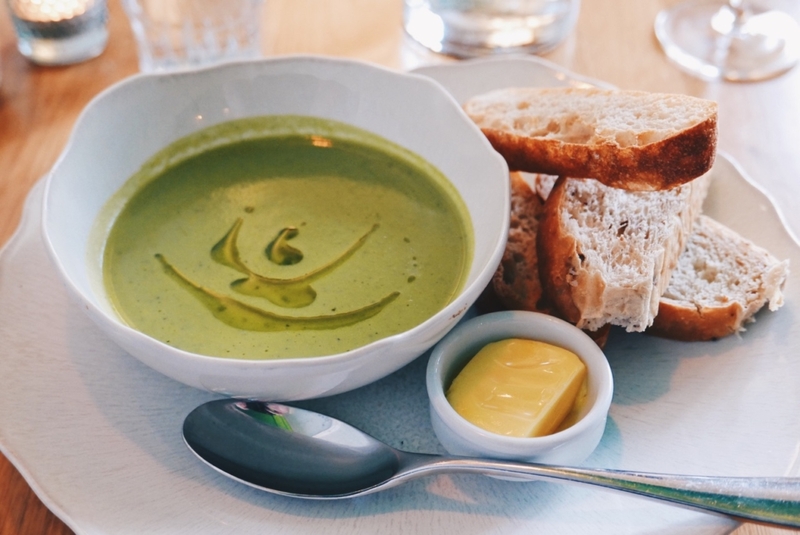 The fusion of fresh garden pea with rich garlic was delicious and not too creamy, enhanced further by the local artisan bread with melting butter. An ideal starter. 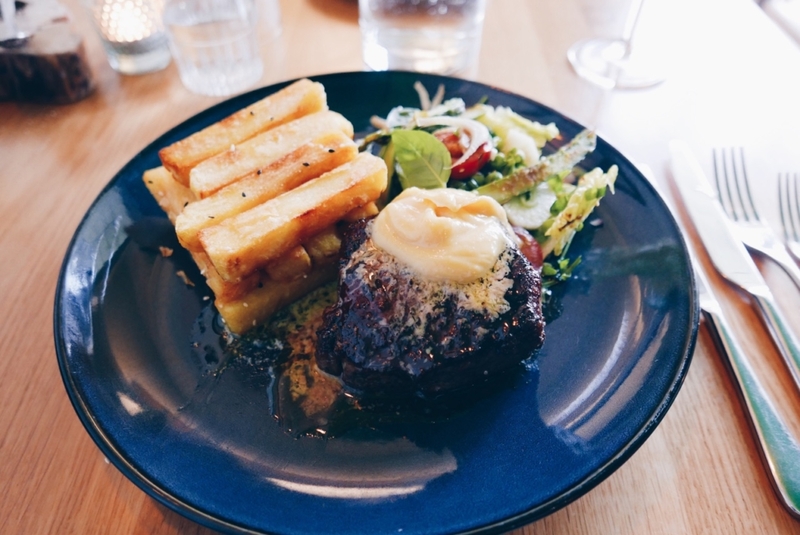 Steak is always such an obvious choice that I tend to avoid when it when ordering, often because being served a really great steak is simply potluck. But sometimes it’s good to order what you are in the mood for, and this was one of those days. I ordered the Cumbrian black Angus 28 days dry aged sirloin with Sesame truffle chips, oriental green salad and miso bearnaise. The texture of the meat was tender and it retained its heat throughout. 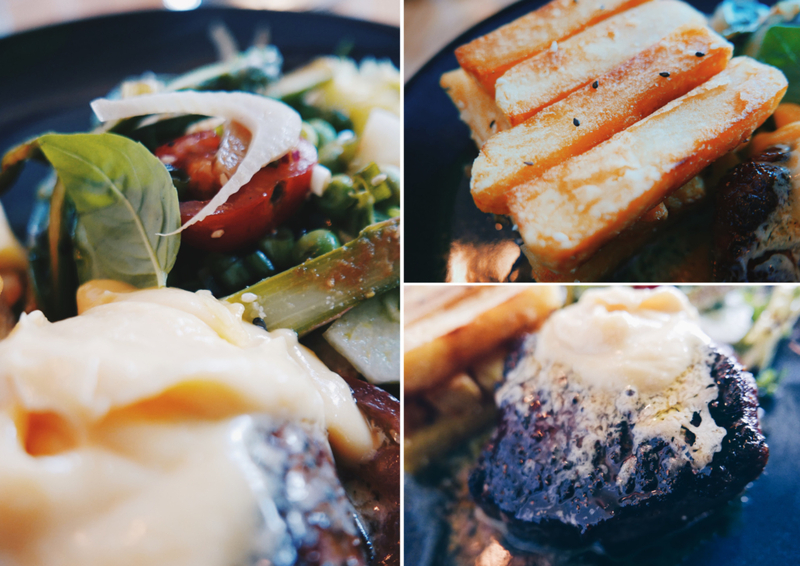 Aromas from the bearnaise sauce dripping over the meat were incredibly enticing, without a doubt the best steak I’ve eaten in 2 years. The oriental salad had such a combination of unique flavours which really opened up the joy of the palette. As for the huge Sesame truffle chips – no words! Go try for yourself. With the steak, I chose a feisty Gouguenheim Malbec from Mendoza, Argentina – a bold red with aromas of plums, cherries & chocolate. The orange and almond chocolate brownie crumbled on contact and had an unexpected smooth texture, not too rich at all. 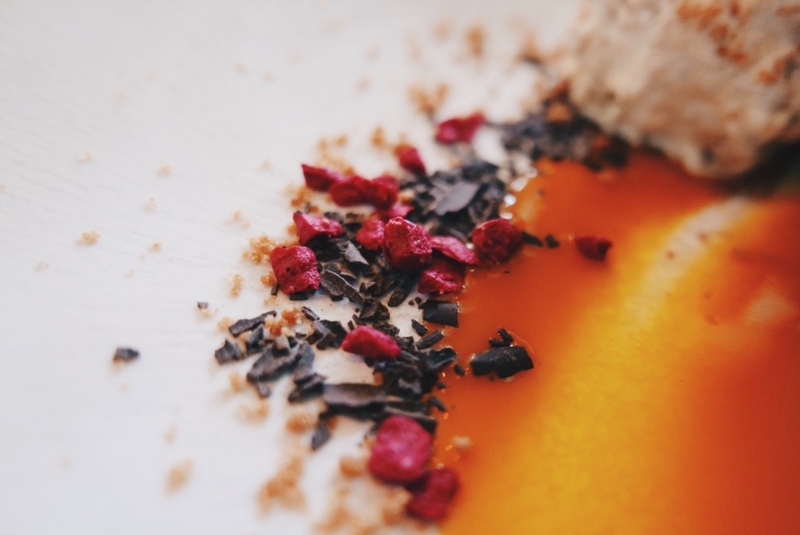 The flashes of flavour when eaten with the Grasmere gingerbread ice cream made for a tasty and harmonious dessert. 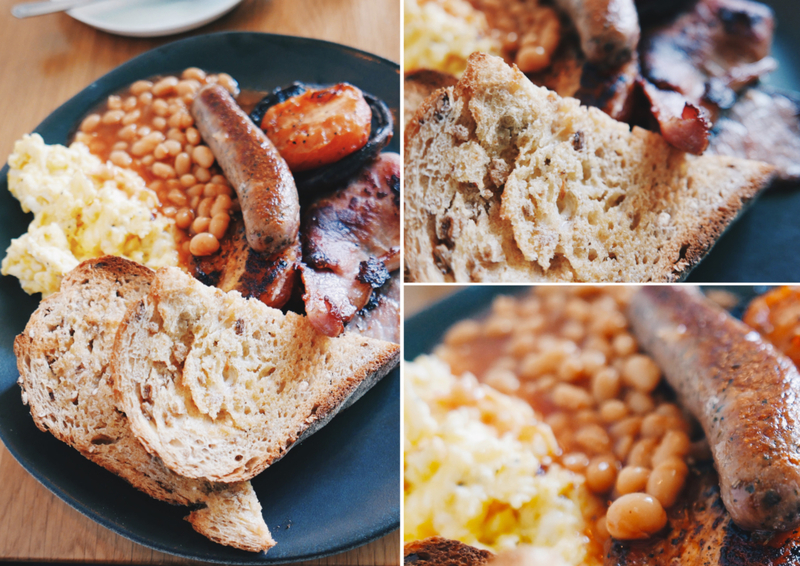 Our full English breakfast included scrambled eggs, bacon, sausage, mushrooms, tomato, beans, wholemeal brown toast and coffee. We waited a while for breakfast to be served, but the hotel was full and everything is made fresh to order, so a wait is inevitable and one thing I am sure of is that the best food takes time! This was a wholesome and hearty breakfast served on a hot plate, setting us up for a challenging walk on the fells.